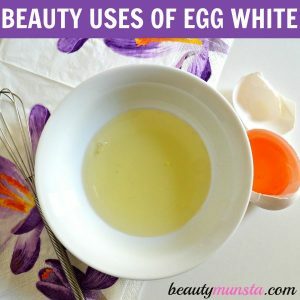 10 Amazing Beauty Benefits of Egg White - beautymunsta - free natural beauty hacks and more! 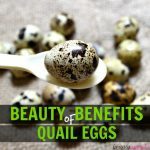 Eggs are an amazing nutrient-packed natural ingredient and in particular, the beauty benefits of egg white can come in handy for many common beauty issues. Egg white beauty treatments have been used all around the globe long back in Ancient civilizations such as Egypt, China and the Arabian Peninsula to achieve beautiful skin and hair. Egg whites are rich in protein and albumin that have skin toning properties and promote wrinkle free skin. 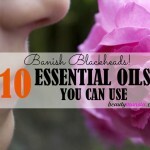 They are especially good for oily skin and hair since they help tighten large pores and hair follicles that secrete too much sebum. 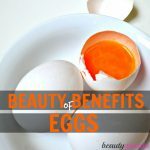 Below are ten beauty benefits of egg white that you can try out instead of chemical beauty treatments! I used the egg white & paper towel face mask some weeks ago, and when peeling it off, it came along with tiny facial hairs that are normally found on the face. In the end, my skin felt smoother and clearer! This mask really does help get rid of facial hair no matter where it is – on your forehead, cheeks or upper lip! To make this mask, you simply need to apply a little egg white to your face using a brush. Cut out holes for your eyes and mouth and place the paper towel on your face. Coat a thin layer of more egg white on top of the paper towel to make it stick. When it has completely dried up, quickly pull off the paper towel, which will come along with the hairs. Admire the results! Tighten and close up large pores using egg whites! Egg whites have astringent properties that help shrink pores by tightening the skin. Mix 1 teaspoon of egg white and 1 squeeze of fresh lemon juice. Apply this onto your whole face or large pore affected areas. Wait for 15 minutes before rinsing off with tepid water. Pat dry with a soft towel and continue this treatment twice a week. Egg whites are well known for tightening the skin and you can experience this effect when you put on an egg white face mask as it dries up on your face. Use egg white to lift up sagging cheeks and crinkly skin around the eyes. Gently apply a thin layer of egg white using a clean brush and rinse off after it has dried. Due to its skin tightening and pore-minimizing properties, egg whites are especially great for those with overly oily skin. Before applying, first wash your face gently with warm water and pat dry with a soft towel. Coat your face with a thin layer of egg white and let it dry up. Once it has dried, remove the mask by rinsing with cold water. 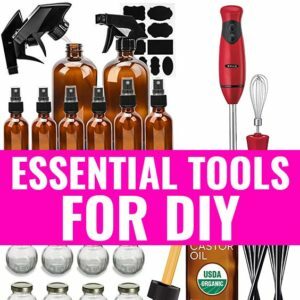 Do you have an egg white separator tool? While using egg whites for skin can be manageable, putting eggs in your hair can be extremely icky especially for those who hate the smell and the slimy feeling! But that shouldn’t put you off as egg white on its own, without the yolk, doesn’t stink that badly and it works wonders in drawing out scalp oiliness and greasy hair! Much like skin pores, egg white works in tightening the hair follicles thereby preventing excess sebum from being secreted onto the scalp. Whisk up an effective egg white mask for oily hair by combining 1 egg white, 1 tbsp honey and 5 drops lavender essential oil. Apply for 10 minutes then rinse off thoroughly and use a natural sulfate-free shampoo to wash it out. Acne can be caused by over secretion of sebum onto the skin’s surface. As egg white works amazingly well in controlling oily skin, it can be used to prevent and fight off acne too! However, be careful when applying the egg white on acneic skin as being harsh can aggravate acne. For this reason, do not use a brush and instead use clean finger tips or a q-tip to apply the egg white. Also add 2 drops of the powerful anti-acne tea tree oil to the egg white for a more effective treatment. Greasy flat and dull hair can be really frustrating especially when you want to style up your hair. But there’s totally no need to worry when you have eggs in the house– just crack an egg, separate the whites, whisk them till frothy and slather it all over your hair. You might want to add a teaspoon of lemon juice to mask the smell. Cover your hair with a shower cap to prevent drips and sit back for 10 minutes. When the time is up, rinse off thoroughly and let your hair dry naturally. Your hair will look shiny when dry which is one of the magical properties of egg white! This is perhaps the number one beauty trick with egg whites. Egg whites can amazingly draw out sebum and pull out the gunk stuck deep within pores. Again, this has to do with its astringent properties. The egg white tightens the pores which helps naturally squeeze out the black heads by bringing them out of the skin’s surface. Effectively get rid of under eye puffiness and eye bags by gently rubbing egg white underneath your eyes using your index finger. Rinse off thoroughly when it dries up, pat dry with a soft towel and apply coconut oil. Since egg whites tighten and lift skin, it is very useful in delaying premature aging caused by fine lines and wrinkles. Try out a simple egg white face mask twice a week to make since taut and youthful. Jamaican black castor oil is one of nature’s best kept secrets for incredible hair growth and other beauty uses. Combine it with egg whites and you can experience amazing changes, especially for your hair. Please do not apply eggs onto your skin, hair and general body if you are allergic to eggs! 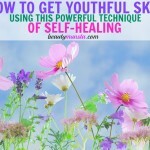 This may cause severe reactions including rashes, inflammation and unsightly bumps. Always make sure to perform a simple patch test on your inner wrist or elbow to see if egg white is safe for external application. 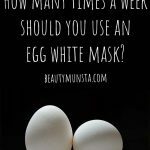 How Many Times A Week Should I Use Egg White Mask?